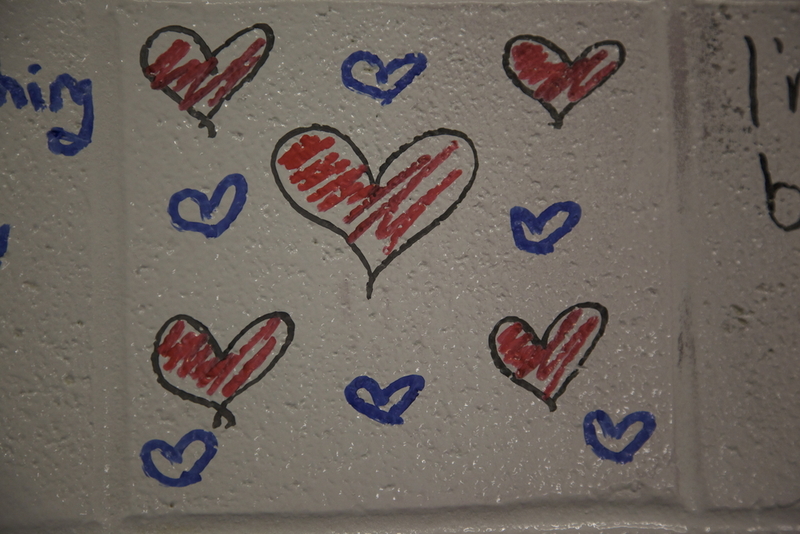 This particular piece was installed in an emergency stairwell, a low traffic zone that students seldom used. 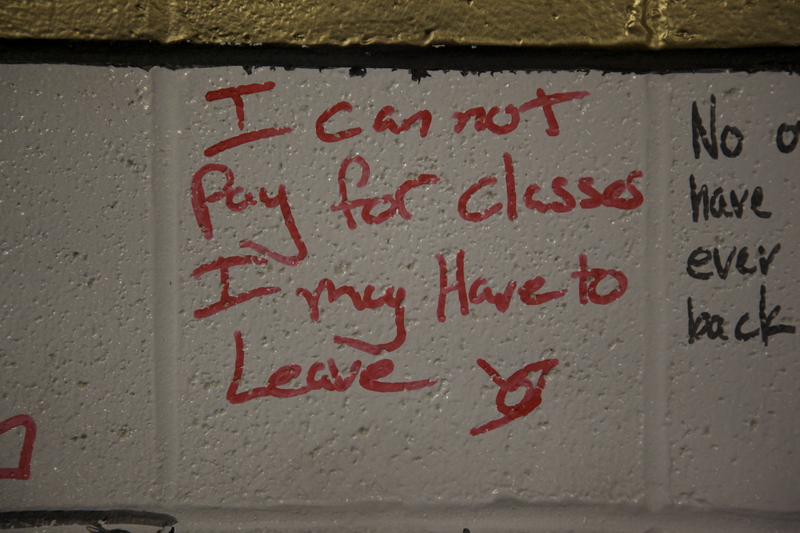 However the head of facilities was interested in getting students to use the stairs more often, in order to release some of the stress on the school's elevator system. 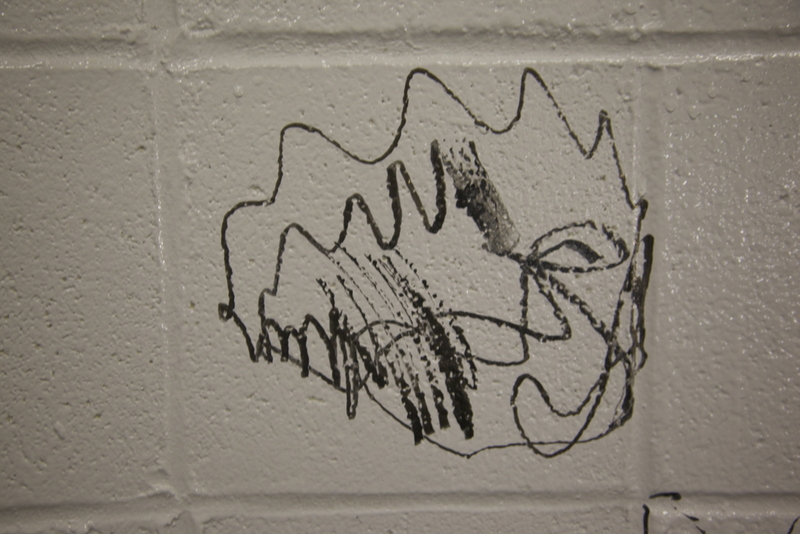 Because of the private nature of the space, users interacted with this piece differently than with my other experiments in a lobby, or a cafe. 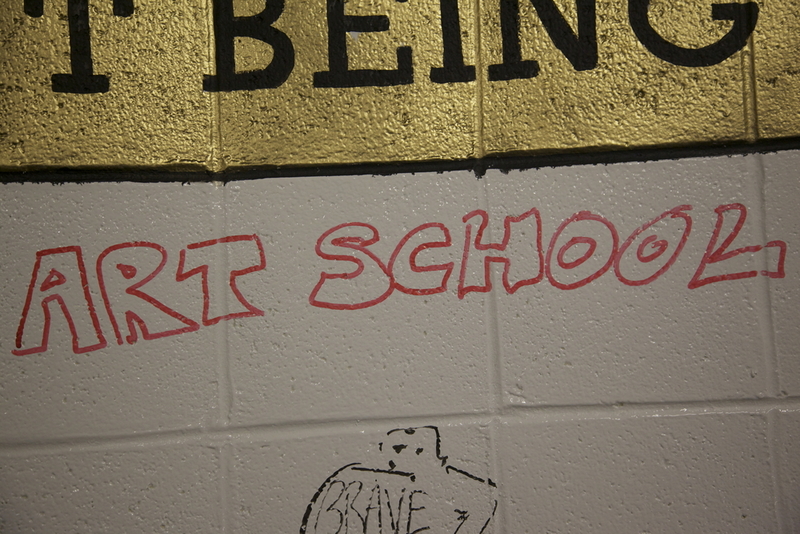 From my observation, the average time spent with the piece was longer. 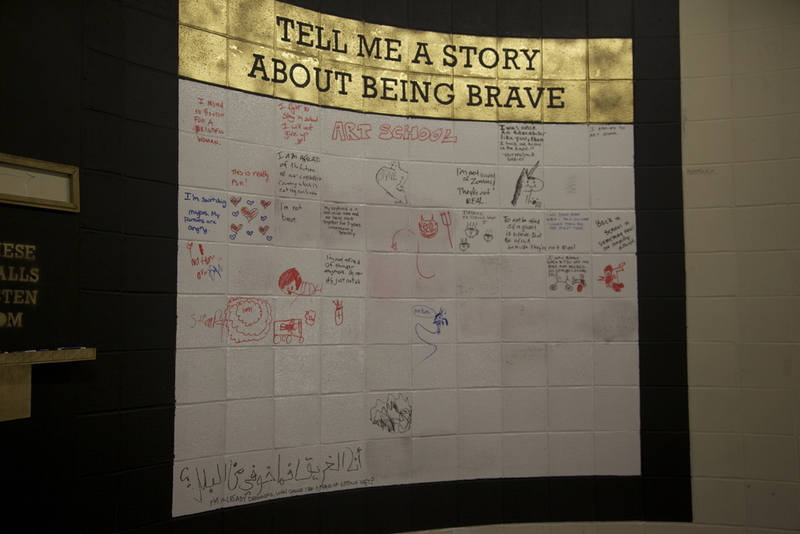 It was more of a one-on-one experience than the lobby installation, which had up to three of four people interacting with it at a time. 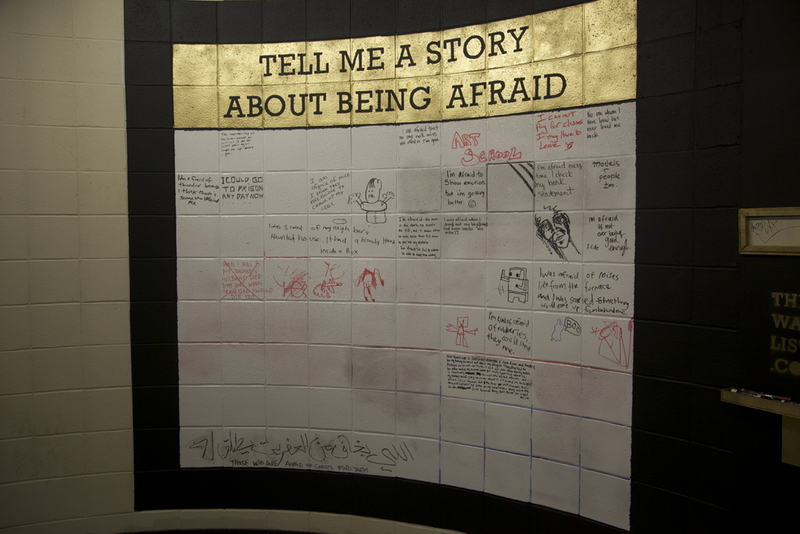 This installation was also unique in that I chose to create a paired set of prompts for my users. 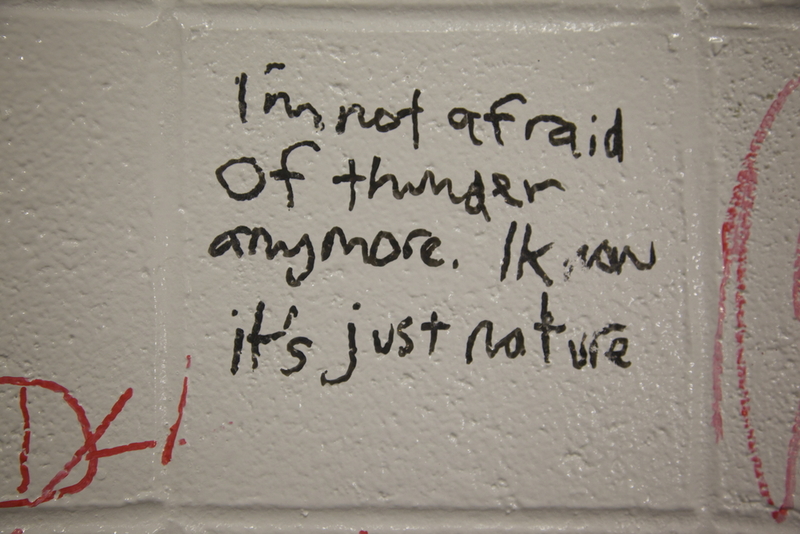 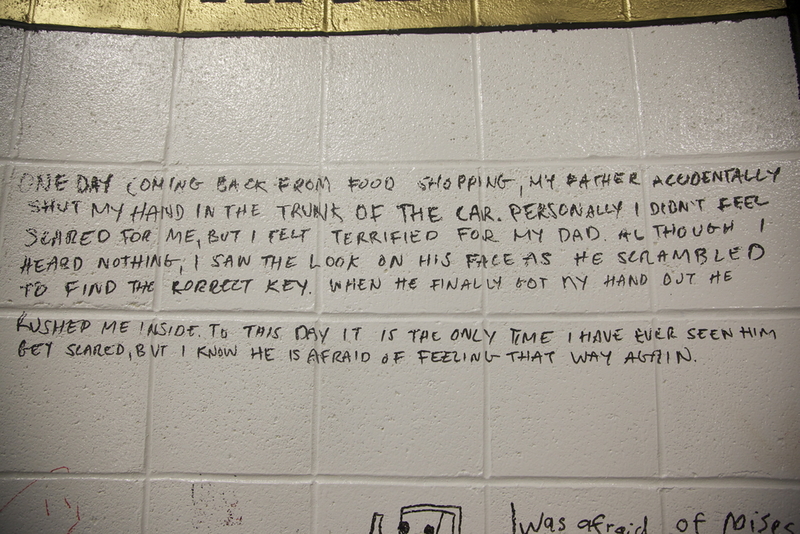 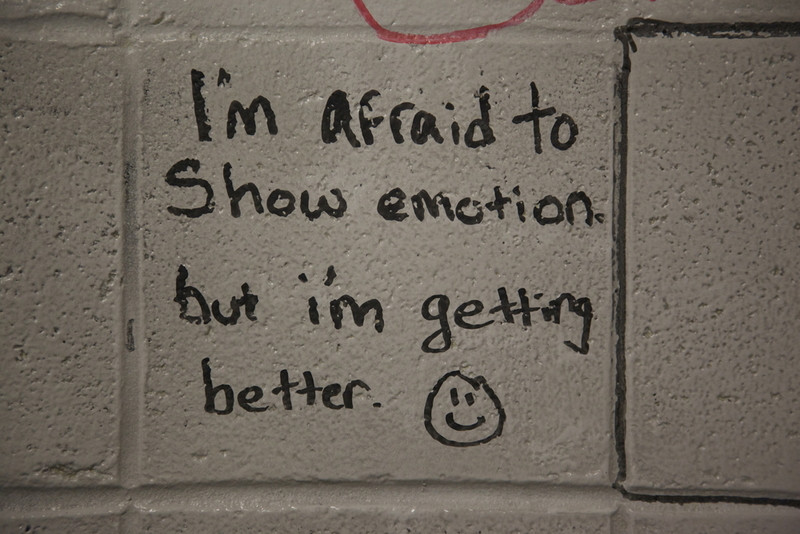 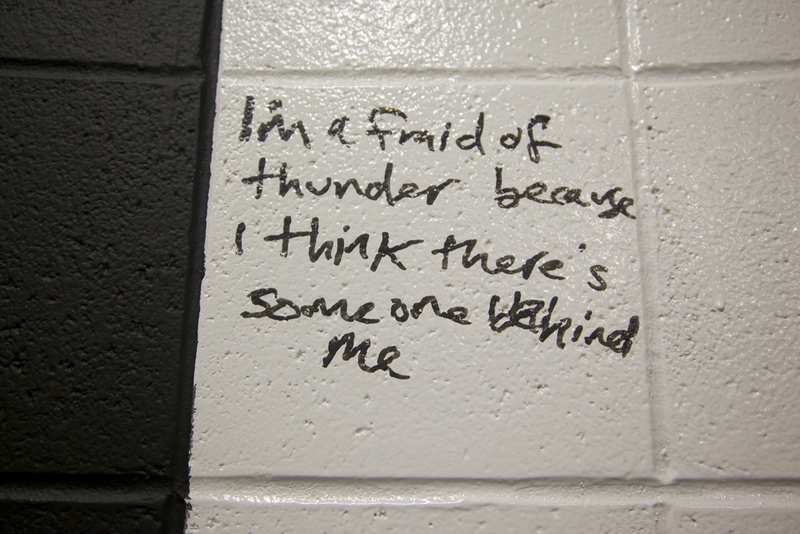 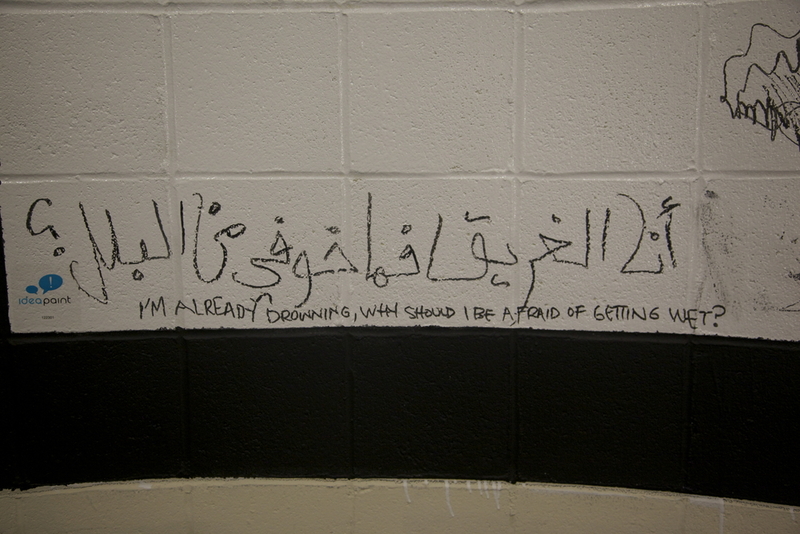 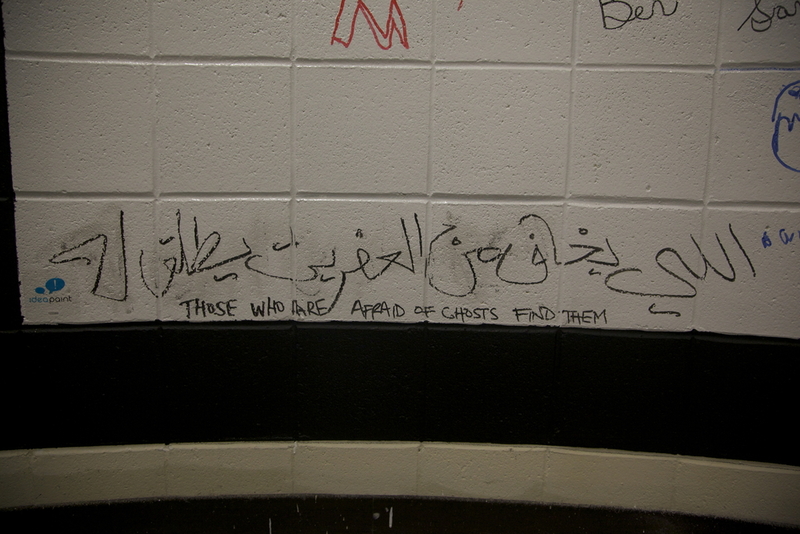 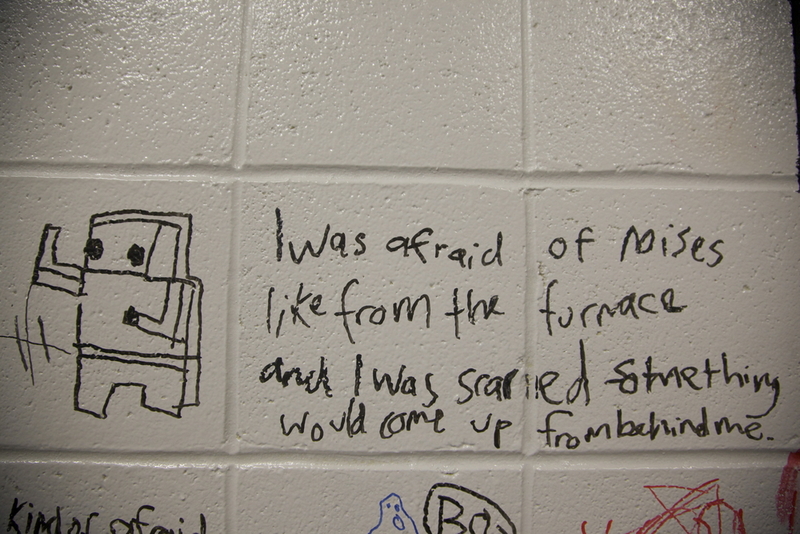 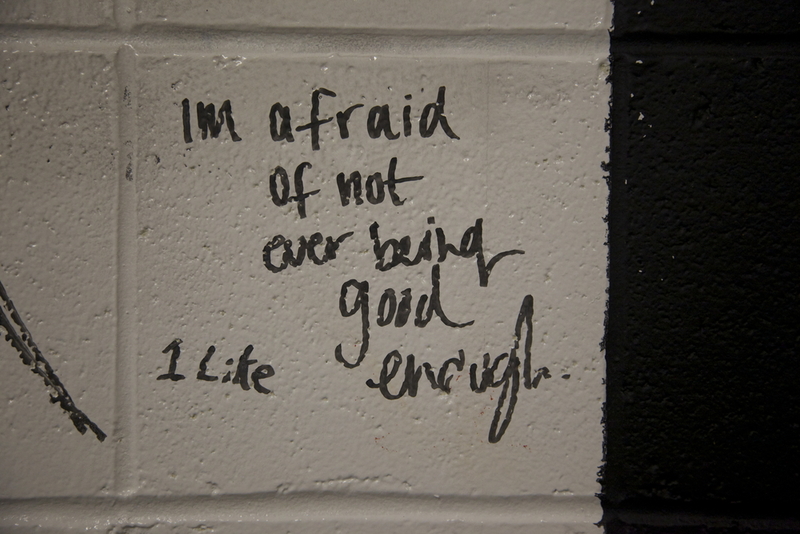 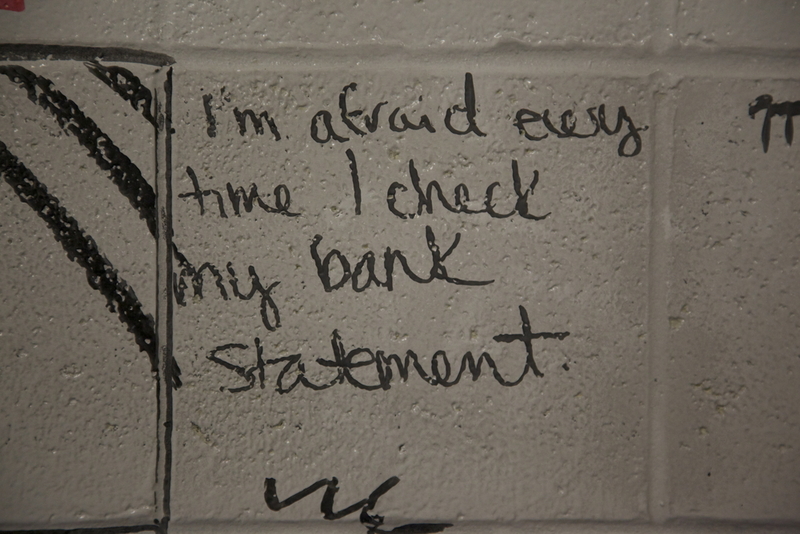 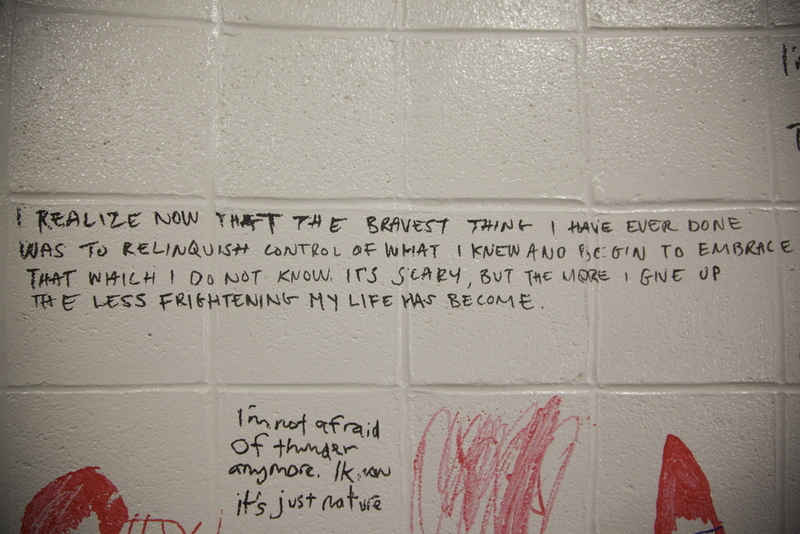 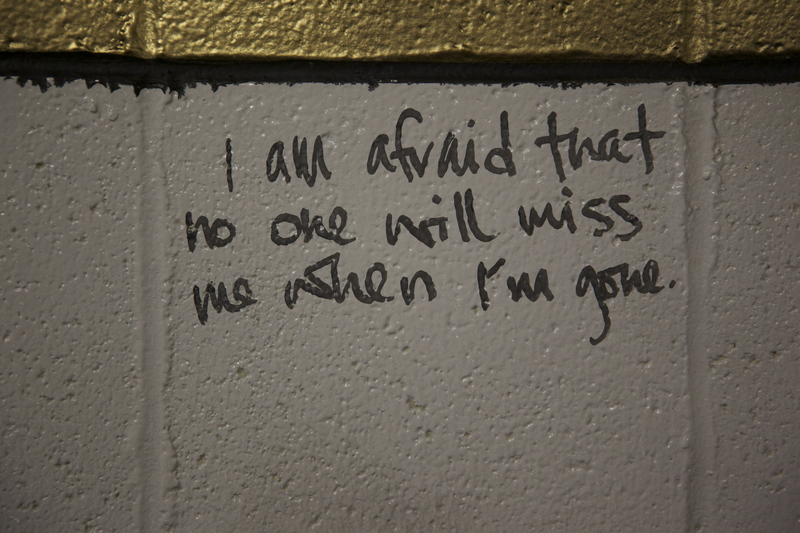 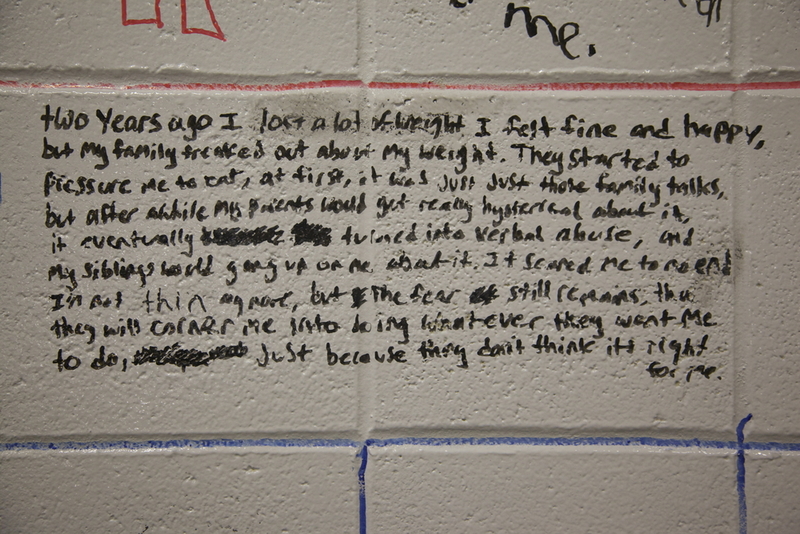 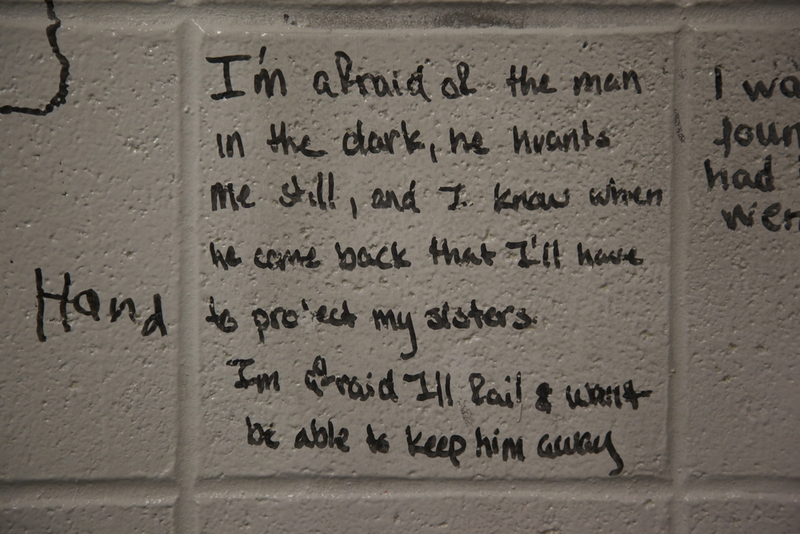 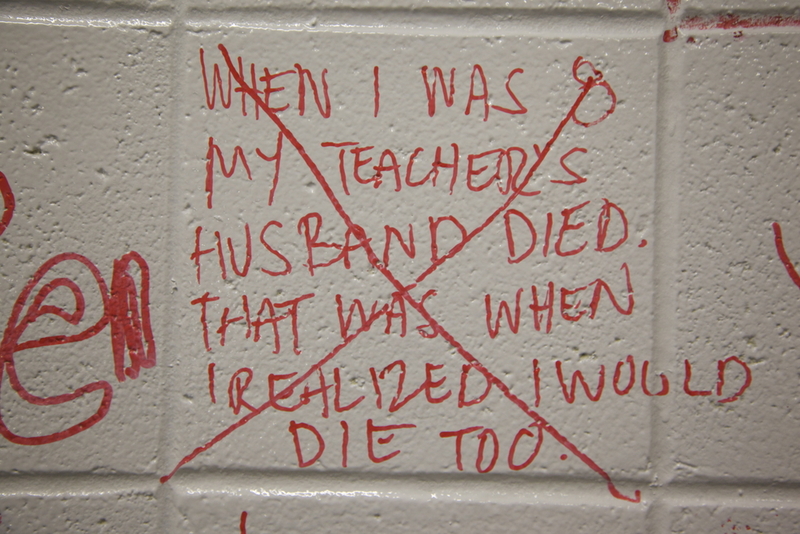 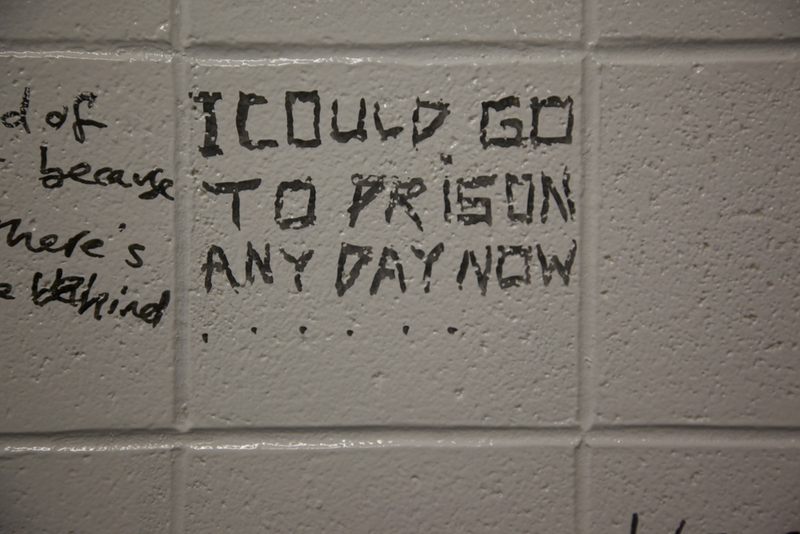 On one side of the wall I wrote, "Tell me a story about being afraid." 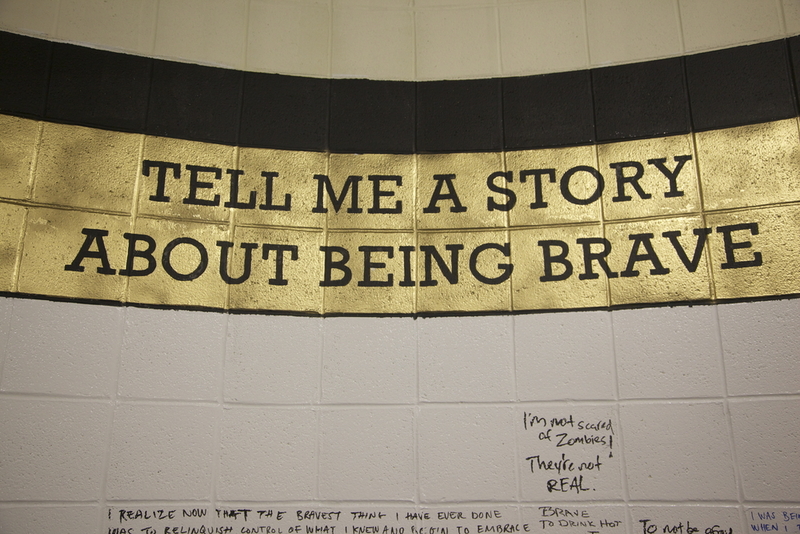 On the other side I wrote, "Tell me a story about being brave." 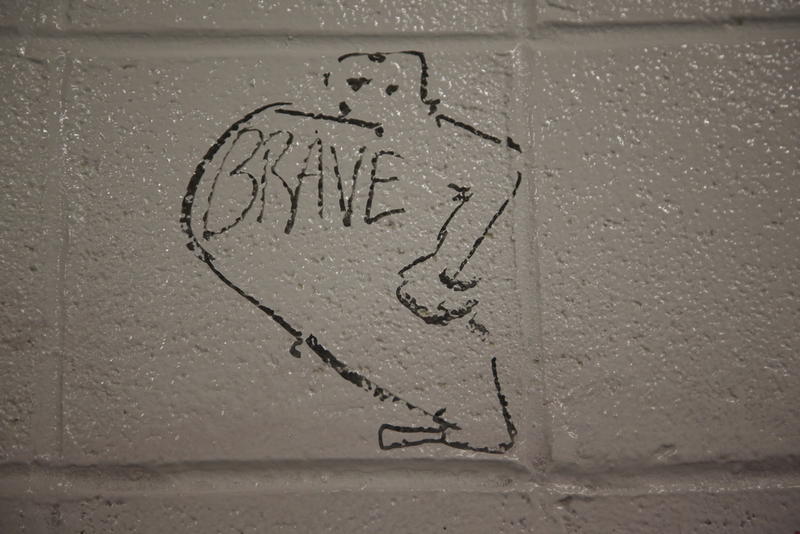 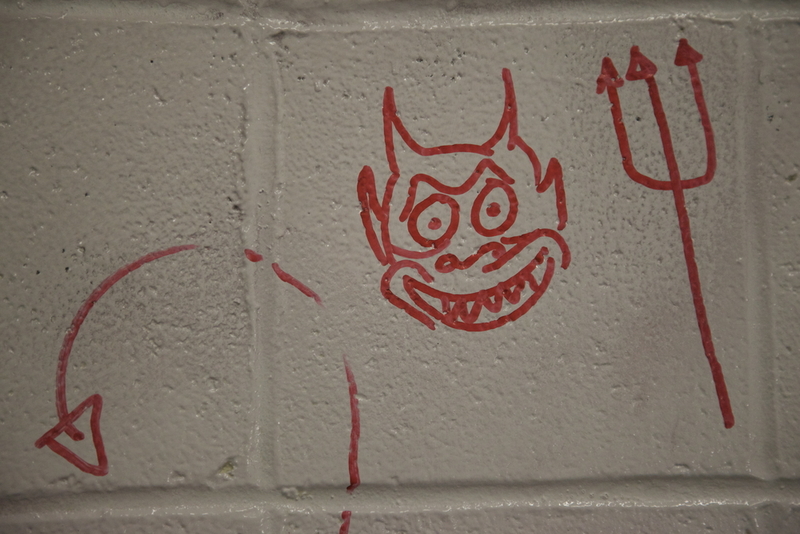 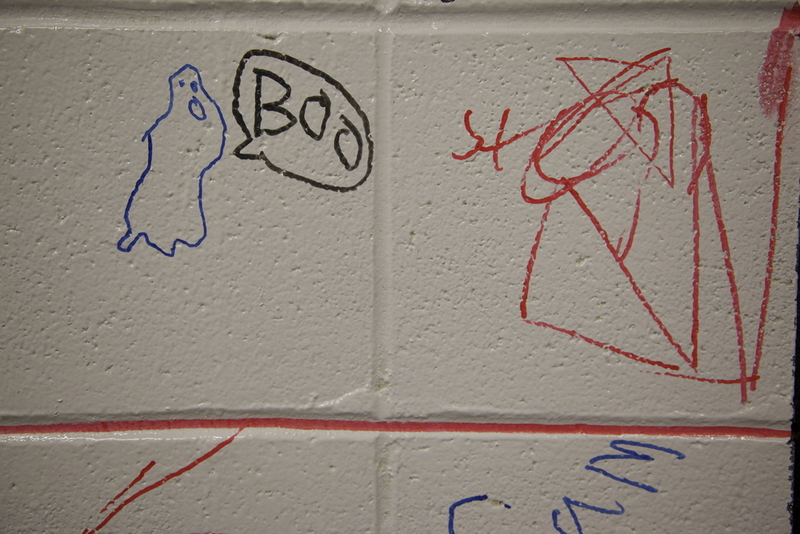 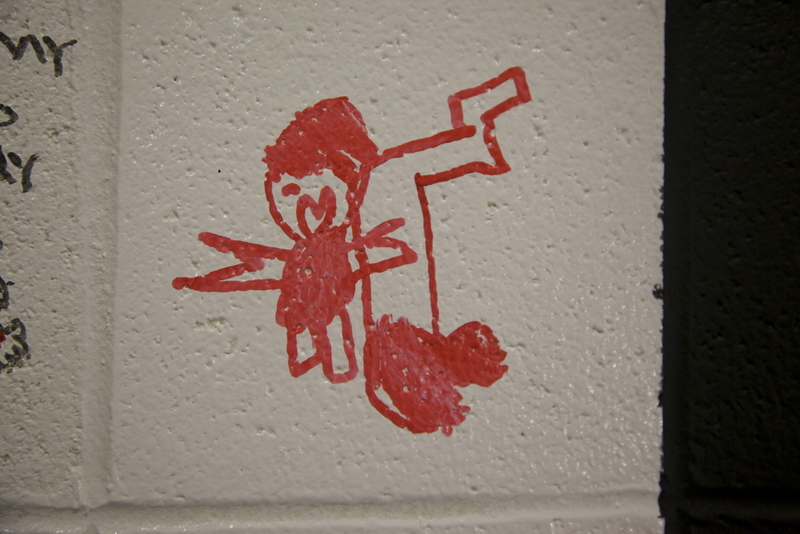 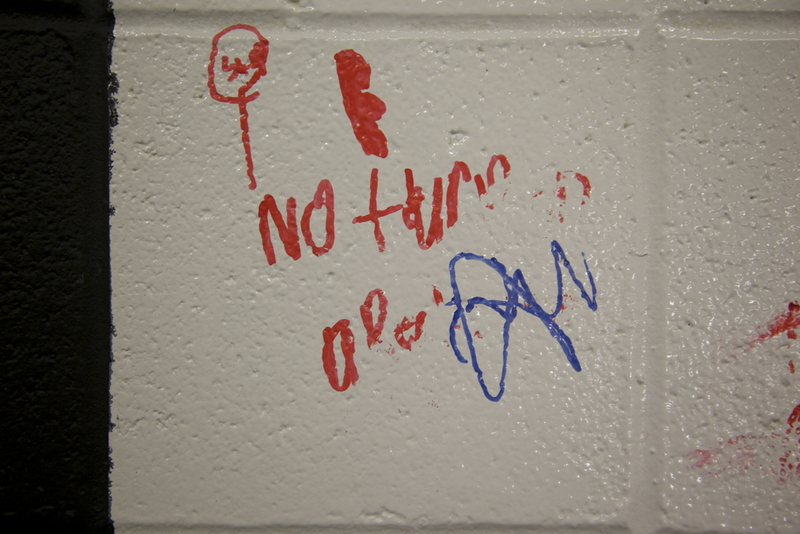 The walls were painted with IDEA paint, which allows you turn any surface into a dry-erase board. 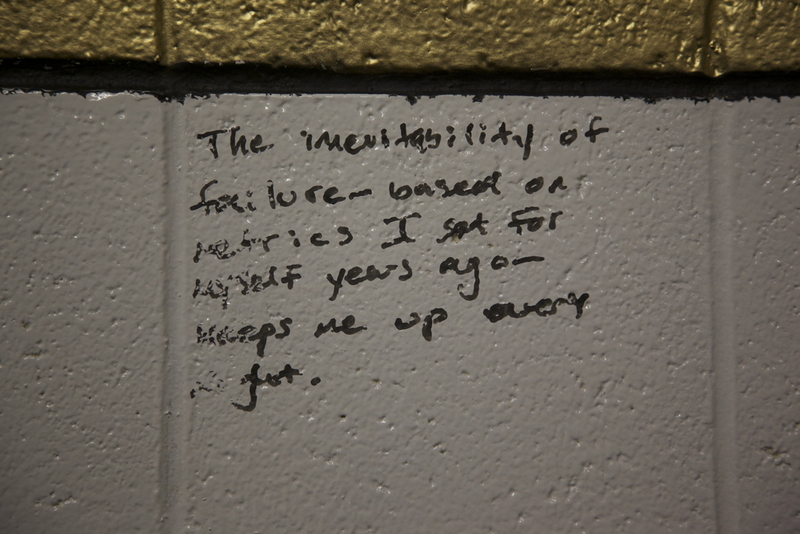 Using familiar analogue materials was a common theme in my installations, taking away the obstacle of learning new interfaces, allowing my users to focus on exploring the self.